Those combined filters work as “AND”. 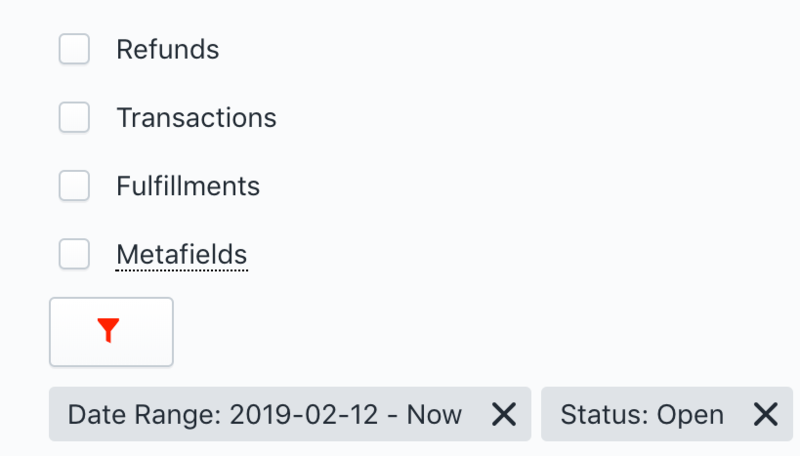 For example, if you combine “Date Interval” filter with “Status” for Orders – then it will include only Orders in that date interval, which have that status. The same for other items. You can see the list of all filters in our Export Filter documentation.